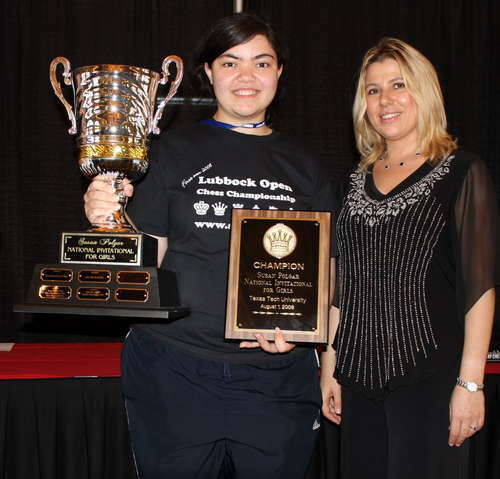 08.02.08 Courtney Jamison of Texas has won the Susan Polgar National Invitational for Girls. A final round draw with Linda Diaz put her out of reach of the rest of the field with 5.5 points in 6 rounds. Maine Girls Champion Sorel Edes finished the tournament with 2.5 points and tied for 33rd place. Congratulations to Sorel Edes on such a fine performance and being a great representitive for Maine.